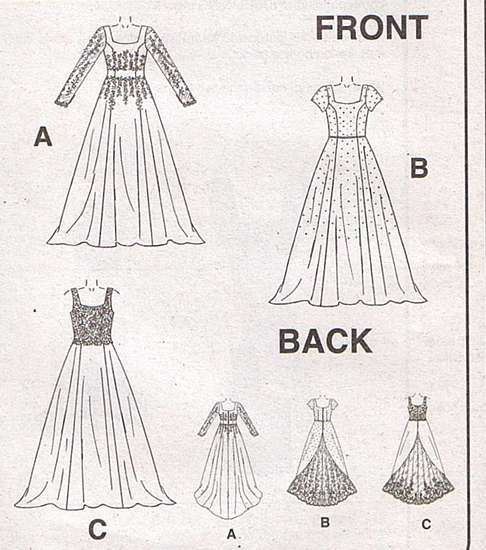 Gown or dress has fitted bodice and front overskirt. Long or short sleeves or sleeveless. Optional back bustle. See additional detail photo below. Misses' Sizes 10, 12 and 14 are all included. Bust 32.5, 34 and 36.